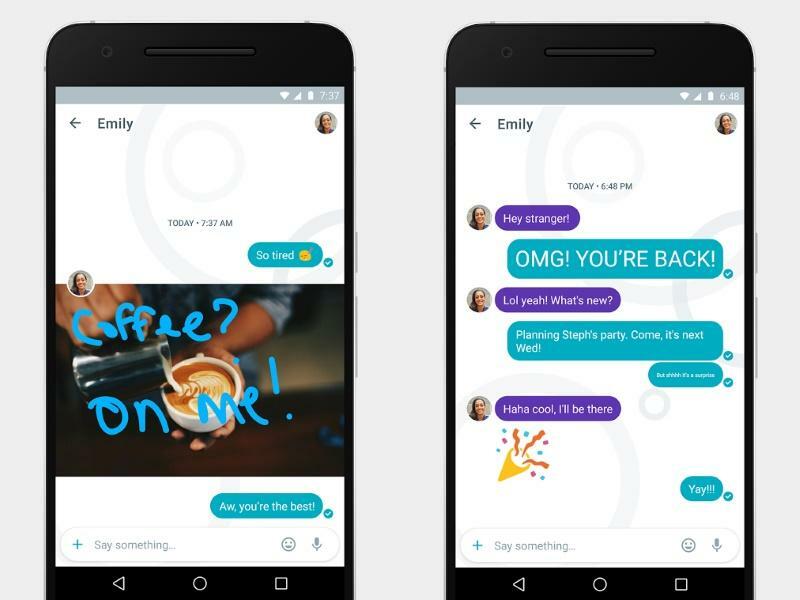 In September 2016, Google launched a new real-time communication app called Allo. While Allo has a clean and extremely easy to use interface, much like WhatsApp, it does boast of some new features and add-ons. Allo directly competes with Facebook-owned apps Messenger and WhatsApp, which currently dominate the messaging apps market. 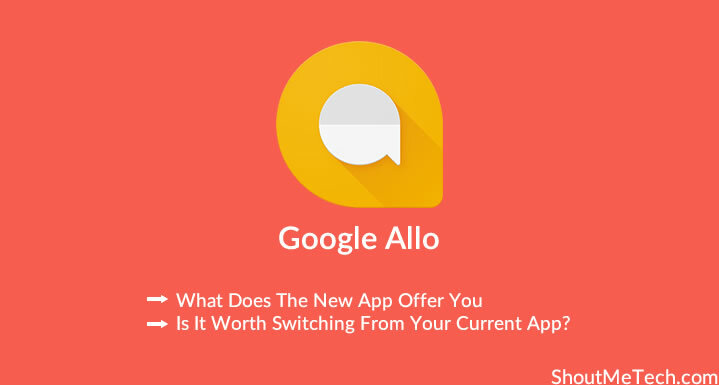 Will Allo be able to break the pack and stand out in such a cluttered market? Allo is available on both the Android and iOS platforms. Unlike its previous apps, Google doesn’t make it mandatory to sign in from a Google account. All you need is a phone number to verify yourself and you will be up and running in a matter of seconds. The interface is pretty basic. You can message your contacts that are already using the app in a dedicated chat screen, or you can create a group and converse. But, Google has also integrated some new features into the app. Allo marks the debut of the Google Assistant, which appears as a more refined and personalized version of Google Now. Much like Facebook’s chatbots and Apple’s Siri, you can converse with Google Assistant, asking it questions and even making it perform simple tasks. You can chat with Google Assistant in two ways: Either you can use the dedicated chat screen, or you can simply type @google in any conversation window and ask Google anything. As an example, suppose you were chatting with a friend about a plan to go out for dinner tonight. Instead of going to Google Search to make dinner reservations, you can simply type “@google make dinner reservations” and Google will show you options to make reservations at nearby restaurants. Google Assistant comes programmed with some cheeky replies that will keep you entertained. There are also a ton of other things that Assistant can do to keep you hooked. Ask Google Assistant “What is the weather today?” and like Google Now, you will be shown cards that contain the relevant information. But what makes the Google Assistant more successful is the ‘subscriptions’. You can ‘subscribe’ to these updates and Google will ask you if it should send you weather information daily, and if you choose yes, at what time. You can ask Google Assistant to send you subscriptions of news, poems, quotes, jokes, and many other things. Perhaps the most groundbreaking piece of technology and the first of its kind in the messaging market, Smart Replies is a feature in Allo where you are automatically suggested replies and responses based on the messages you receive. And no, these are not mere pre-programmed retorts like ‘I am fine’ and ‘Thanks’. Google uses advanced machine learning algorithms to learn your most common responses and as such, the suggestions are personalized and quite similar to ones you would have actually used. Suppose someone asks you ‘What’s up?’ you often reply ‘Nothing much’, and someone else replies ‘Idling around, WBU?’ Over time, Allo will learn these common retorts and suggest you smart replies when a similar question/message comes up. What’s even more special is that these smart replies are not just limited to English. You will get such suggestions in any language you use. We often complain that text messaging cannot convey emotions and as such, your messages may be misunderstood. Well, Google takes a step forward in this aspect. Simply dragging the send button up and down after you have typed your message will enlarge and shrink your message, so as to give an impression of either shouting or whispering. Just like the Incognito Mode in Chrome, where you can browse without registering anything in the browser’s history, there is an Incognito Mode in Allo where you can chat with your contacts and the messages expire after a fixed time. You can’t screenshot these texts and since the messages are encrypted, neither can the recipient. Chatting in Incognito Mode will restrict Google’s access also to your texts and the self-learning algorithm completely ignores the messages when Incognito. As such, recommendations or suggestions provided to you won’t include the actions performed while in Incognito Mode. Allo also has some minor tweaks to features we have already used in other apps to make things more convenient. We have all felt that frustration when we want to perform minor edits on a picture before sending it on WhatsApp (such as inserting text or scribbling) because that requires opening a third-party editor. With Allo, you can edit your pictures before sending them, such as scribbling and drawing things, directly in the app. As Allo is a more advanced version of Google Now, it naturally recognizes images, and you can search and chat using images and barcodes. Google performs an image search and provides you with replies accordingly. Allo is one huge entertainment package. Apart from the cheeky replies by Google Assistant, you can play games such as puzzles, riddles, Snakes, Tetris, and many classic games inside of the app itself. You can ask it to recite a poem or a phrase from the Bible, or you can ask it to teach you French and learn basic French phrases like ‘Merci beaucoup’ and ‘Bonjour’. The possibilities with Allo are virtually endless as Google leverages its enormous database to provide you the best interactive experience. That said, Allo has limitations. Google’s decision to make the app compatible with only smart phones rather than integrating it across all platforms makes it lose the huge chunk of WhatsAppers who prefer multi-platform messaging. Further, the app cannot be used to send text messages. The maximum you can do is send your contact a link to install Allo. These drawbacks make Allo less competitive when compared to Facebook Messenger, WhatsApp, and iMessage which currently have a firm grasp on the market. Hangouts for messaging your Google contacts. Google Messenger for sending texts to a phone number. Allo for messaging someone in your phone book. Google had publicly accepted that they had done a terrible job of servicing their customers in the real-time messaging services. In 2013, they released Hangouts as a cross-platform messaging app to communicate with anyone on Google. But instead of channelizing and interacting features in a refurbished and updated Hangouts, now we have 2 new apps. It’s difficult to see how Allo can break the pack, considering how popular WhatsApp and Facebook Messenger are. By purchasing WhatsApp, Zuckerberg and Co. have a dual channel growth in both the developed and emerging markets. While Messenger is more popular in the developed parts, WhatsApp prevails in the emerging economies. The features provided by Allo are, no doubt, revolutionary. The Assistant is more personalized, the smart replies are a gem, and let’s be fair, it’s Google we are talking about. An app integrated with Google can tap into the huge pool of data available, and Allo does a wonderful job at that. It’s simply the company’s approach that is troublesome. Though Google has been for around a decade in the communication services, the tech giant is still lagging. Time will tell if Google decides to resolve these issues in the near future. But for now, I still don’t see as many contacts on Allo as there are on my WhatsApp list. 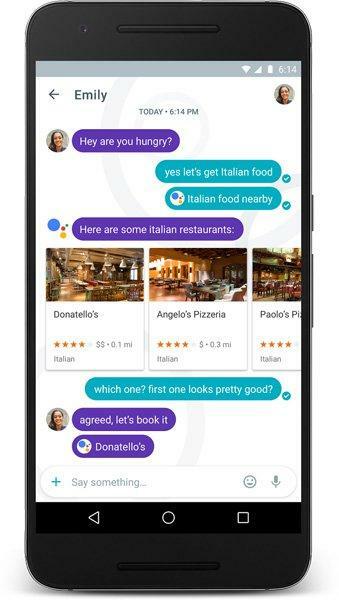 Are you a Google Allo user? What’s your review? Let me know in the comments! Google Allo or whatsapp are best but they aren’t much useful for taking your business to next level. Many businesses shuts down every year just because of bad customer service. Now the days are gone!!! Opt for VoIP based virtual phone system and setup your customer support in less than 3 minutes and start making or receiving calls even on the go. They are enabled with lots of features at very affordable cost that even small businesses can make an impression like a large organization. They are enabled with features like: IVR, Call Recording, Call Transfer, Call Forwarding, Make calls from browser, Get local & Toll Free numbers for multiple countries etc. I personally found it very interesting and thus i shifted to callhippo.com. It’s really easy to manage your customer support and even i have the data to make strategies for my sales team. The app is totally awesome but I don’t why people are still attracted towards WhatsApp much. I think they’re habituated. The day Google combine all Apps in one (Allo) it is become competitive with Whatsapp. Duo supposed to be integrated with allo. Now whatsapp has disappearing photos/videos feature. What will be interesting is seeing where this app ends up in comparison at the end of 2017. If Google do not give Allo the full backing the company deserves to give it, then there is a distinct possibility that the app may end up like Google +. As with all new apps, it needs an audience and if that audience doesn’t see the benefits of how it can be useful compared to other apps like Whatsapp. It may end up like the Dodo. I just installed allo… its amazing. i think you are right we should move to google allo from other instant messaging apps. Hi sir m installed Google allo in my HTC 10. Is it any option available for import database from whatsapp and IMO messenger ? I think Google will outgrow all other competitors. Google is working on the latest updates and we hope that the new version of Allo will be satisfactory. Allo is very different then Facebook Messenger and Whatsapp It is very user friendly app then others. This is a detailed article. Really Allo has some good features. Been using for a while. But I think People will stick with WhatsApp, No matter how many new messaging apps are introduced. People don’t care If its google OR any other big brands. It is very difficult to overcome Whatsapp because Whatsapp has grown really big. I think WhatsApp is better than google allo..
Aswesome interface design of Allo. Just tried it…but do think it will take atleast 6 months for people to migrate from WhatsApp to Allo.